By using my site, you agree to the collection and use of information in accordance with this policy. We collect several different types of information for various purposes to provide and improve our service to you. We are the sole owners of the information collected on this site. We only have access to/collect information that you voluntarily give us via email or other direct contact from you. We will not sell or rent this information to anyone. To provide and maintain the site. To provide analysis or valuable information so that we can improve the site. To monitor the usage of the site. To protect and defend the rights or property of Malloo. To protect the personal safety of users of the site or the public. Wherever I collect sensitive information, that information is encrypted and transmitted to me in a secure way. You can verify this by looking for a closed lock icon at the bottom of your web browser, or looking for “https” at the beginning of the address of the web page. 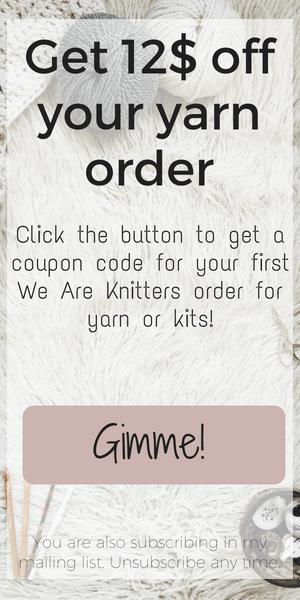 Some posts on mallooknits.com may contain affiliate links for which I receive a commission. I only promote products and services that I have used myself and trust. Malloo is a participant in the Amazon Services LLC Associates Program, an affiliate advertising program designed to provide a means for sites to earn advertising fees by advertising and linking to amazon.com. All photos, designs, and patterns are copyright of Malloo unless otherwise noted. Please do not repost or claim my content as your own.